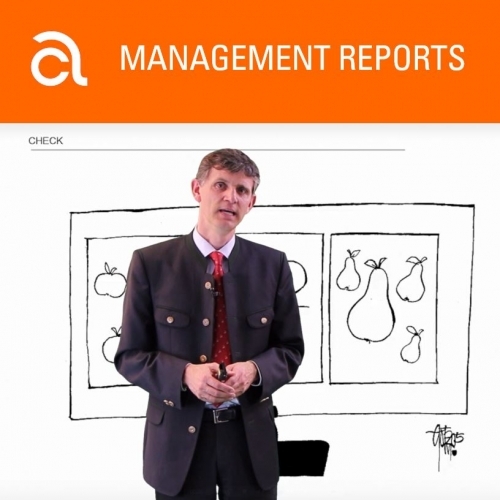 Management reports are very important in the controllers job and have a significant impact on the performance of a company. But are we sure that the reports are really read and fully understood by our managers? This workshop provides efficient rules to improve the readability and meaningfulness of the reports you issue. The workshop-seminar ‘Management reporting’ aims at controllers and accountants as well as all employees who make reports and give presentations. You can book this workshop-seminar as a three-day classroom training or as an online video training (any time) with a support period of one month. The attendance fee for the classroom-seminar is EUR 1,950, for the online video training EUR 599 per person, plus VAT. Dietmar Pascher is Partner and Trainer of Controller Akademie AG, a private training institute focused on training controllers. This workshop-seminar is organized by our partner Controller Akademie. I would like to register for the seminar "Management reporting".